So I talk a lot about getting emotionally ready to date. I’ve written a whole book on my own misadventures and getting back to the point where you actually look forward to dating. But we get to the point where we are Dating Ready© and then what? 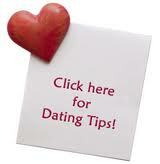 Whilst perusing the internet I’ve stumbled on a Dating Tip site that you all have to check out. Why? Because you put all of that effort getting the date and then a large majority mess it up on the first due to lack of planning. Yes I’m a planning addict but seriously, you can’t go on a date and rely on alcohol and spontaneity to carry you through. Well, you can but you reduce your chances of getting that all important second date. The second date is like the 2nd viewing of a property. The date when you get to see the person behind the list of likes and dislikes. The 2 most common questions I get from women going on a date is how they should act. Telling someone to be themselves is not helpful. Most of us are an acquired taste. Hence strive for that second date. That is your first goal. Dating isn’t easy for many. Not only do you have to look amazing, you have to manage the dreaded nerves. 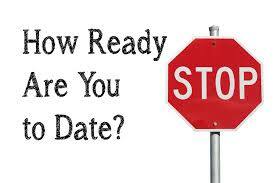 I’m not one for ‘over’ planning dates but I do recognise that decision making on a date can be nerve racking. We need more than a trip to the salon . The clever people at eHarmony have gathered together a bunch of experts and done videocasts to help those that need it. Don’t be shy. I’ve just watched a few and even I, a seasoned dater have picked up a tip or two. I know that ordering a bottle of vodka may not be the best start. Apart from red with beef and white with fish I’m clueless. It’s nice to know a little even if you defer the choice to them. I tend to stick to the 3rd cheapest bottle on the list just to avoid making the decision. I did find this little video helpful. Another cute one is the conversation starter. An ex of mine came to me for possible conversation questions. It helps to avoid getting too deep into past relationships too soon or worse, interviewing the other person on their lives. No one wants to be interrogated. Right my precious I’m off. I need to find a date to practice on and see if I can catch myself that all important date 2.